Predictive and personalised patient monitoring systems can cut down mortality rates by close to 25%. Taiwan-based healthcare manufacturing firms are rolling out portable advanced patient monitoring systems amidst the country’s efforts to amp up its hospital facilities and services to meet the digitalisation needs of their patients and mitigate the shortage of medical professionals. From the minute patients walk into hospitals and clinics for consultations to after-patient care, hospitals in Taiwan’s major cities are cutting down waiting times and the need for manpower to orchestrate mundane tasks such as checking in patients through the use of artificial intelligence (AI) and automation. For instance, to request a primary check up at Taiwan’s large-scale hospitals like Taipei Medical University Hospital, patients only have to insert their National Health Insurance (NHI) ID cards at self-service kiosks which immediately uploads their information to the hospital information system. In some of its intensive care units and hemodialysis centres, hand-held monitoring systems that can integrate big data and provide AI-assisted real-time data are becoming increasingly popular. According to Dr. Ray Jade Chen, superintendent for the Taipei Medical University Hospital (TMUH), such systems can cut down mortality rates by close to 25% as human error is decreased. Chen, who is set to present at the Medical Taiwan International Medical, Health & Care Expo from 27-30 June, explained that such systems can enable medical practitioners to prioritise intensive care unit (ICU) patients, particularly in the evening. “Monitoring systems that include and record all of the patients data real-time, such as their heart rates and blood pressure, decreases the need for nurses to manually monitor patients’ vital statistics, and therefore we won’t miss anything important,” Chen highlighted. With it’s efforts in developing and utilising predictive AI technology, the Taipei Medical University Hospital employs the TED ICU, which integrates clinical data from its patients across its eight ICU departments to enhance efficiency and better allocate resources to patients. The platform provides doctors with ‘dashboard’ information on their patients, including X-ray photos, medical reports and progress notes all in one digital space. The system, which was rolled out almost two years ago, has reportedly reduced staff response times by 6.4 minutes, and drastically shortened time spent in routine paper work by 9,600 hours per year. Expenditure in paper copies of reports have also been reduced by $1620.06 (NT$50,000) annually. “Also, it allows us to analyse the data quickly since it’s all there and predict any potential risks such as delirium and sepsis hours before they happen, so we can make the necessary adjustments to patient care to further avoid any more complications,” Chen added. According to the hospital’s data, the length of ICU stays have also dropped from seven to five days on the back of better monitoring through its predictive patient monitoring system. This sentiment was echoed by Brian Chong, vice president for ICT manufacturing firm Wistron Medical Technology Corporation, who added that the reliance on automation for menial and repetitive tasks such as health insurance verification and checking vital signs not only cuts down on labour costs, but also lessens the burden on the country’s available medical practitioners. Chong will also be present at the Medical Taiwan International Medical, Health & Care Expo in June. “The shortage of medical professionals is a trend we’ve been seeing in Taiwan for some time now, and it’s troubling because the country’s ageing population continues to grow as well,” Chong explained. 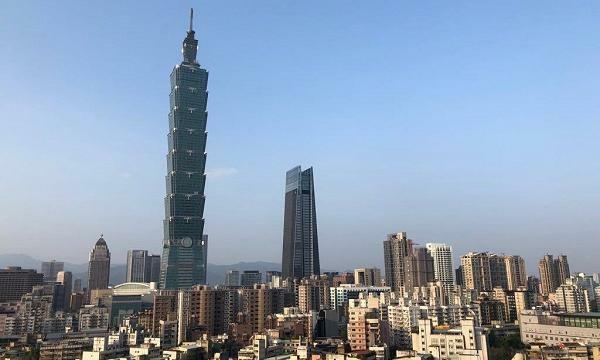 According to a 2014 report by Taiwan’s National Health Research Institutes, hospitals are forecasted to face a shortage of 7,762 doctors across the general, surgical, gynecological, pediatrics and emergency departments by 2022. The report also noted that doctors in service would be at least 40 to 59 years old, meaning that in less than three years, patients may further struggle to find doctors to treat them. The country's elderly population accounted for 3.43 million of its 23.59 million population, and is projected to rise to 3.78 million by 2020, data from Taiwan's National Development Council (NDC) showed. Meanwhile, medical care costs for Taiwan's population aged 65 and over accounted for 37.6% of total National Health Insurance (NHI) expenditure in 2014, when the elderly share of the population was 12%, according to PwC Taiwan’s 2018 market overview. These costs are projected to grow with the forecasted rapid rise in seniors, with Taiwan formally becoming an 'aged society' in 2018. Meanwhile, medical manufacturing firms are also making strides in developing portable monitoring devices to provide a similar, if not the same, level of care to patients living in rural areas and to the elderly who prefer receiving care at home, as telehealth gains traction across the country. Although telemedicine has been promoted in Taiwan for more than 10 years, previous plans have either been shut down or were economically ineffective, whilst other plans relied on government funds. Additionally, the shifting focus on a more aggressive policy in developing Taiwan’s telehealth service were attributed to a low fertility rate, younger people remaining single, long life expectancy and advanced medical technology in better economic conditions in Taiwan (Huang et al., 2008). “Elderly people in Taiwan prefer to age at home and to live in the community rather than stay in institutions, as staying in the institution means isolation from their family members and close friends and requires leaving their familiar living environment,” the report’s authors noted. In response, point-of-care devices such as BriteMED’s 12-Lead Portable Electrocardiogram (ECG) and Wistron’s Spartan Cube have been gaining popularity across medical professionals providing home and rural area medical services. Such devices, which record patient statistics accurately amidst their size and location-usage, also cuts down the costs for patients’ health expenditures. Taiwan's biomedical industry, which includes the applied biotechnology, pharmaceutical and medical device sectors, is a major priority focus for the country, with combined domestic market sales totaling $13b in 2016, according to PwC Taiwan's report. The firm also noted of a government-backed industry investment plan, which was announced in April 2017, that aims to move Taiwan's medical device sector up the value-added chain, as well as increase its value to $6.5b (NT$200b) by 2020.